The National Immigration Law Center (NILC) is one the nation’s leading immigrant advocacy organizations. 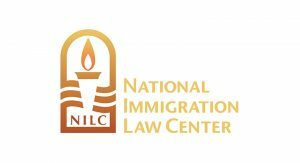 NILC uses a combination of litigation, policy analysis and advocacy, and strategic communications to defend and advance the rights and opportunities of low-income immigrants and their families, regardless of their legal status. This grant provides general support for NILC to advance its work in four core areas: furthering the national policy and legal dialogue about the importance of expanding access to legal status for undocumented people; increasing low-income immigrants’ admission to quality education, training, and other opportunities for advancement; expanding programs and services to help them lead healthy, economically stable lives; and promoting state and local policies to facilitate immigrant integration and promote public safety.